Jaw Crusher BB 50 For rapid and gentle coarse and preliminary size reduction of hard, brittle and hard-ductile materials. Dust-tight bench top crusher for the rapid and gentle coarse and preliminary size reduction of hard, brittle and hard-ductile materials. 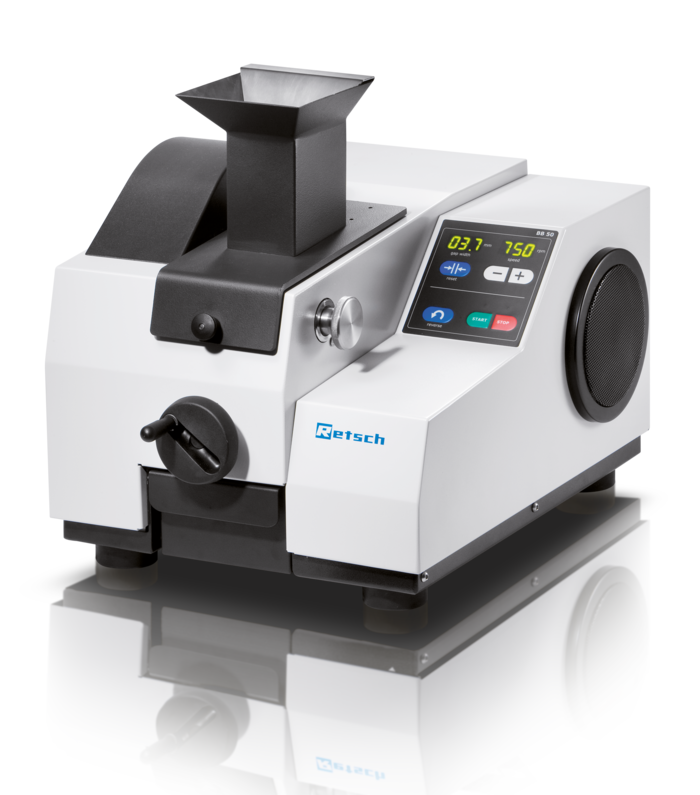 Small amounts of sample with large feed sizes are crushed gently and without loss. High final fineness down to d90 < 500 µm*. Adjustable speed from 550 to 950 min-1. Digital setting and storage of gap width. Removable crusher arm for easy cleaning. Speed: 550 to 950 min-1. 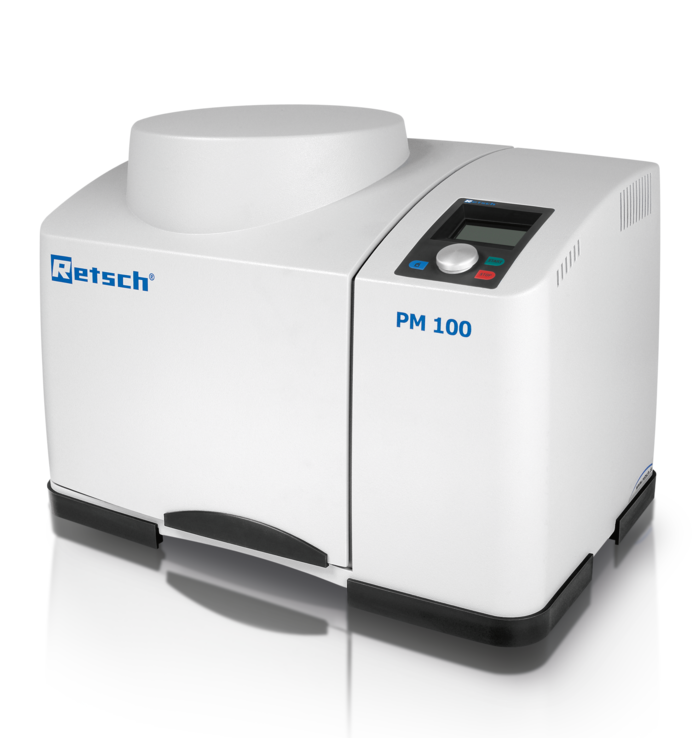 Retsch PM 100 Planetary Ball Mills PM Series Planetary ball mills are suitable for mixing and grinding soft, medium-hard, extremely hard, brittle and fibrous materials. They are used whenever high degrees of fineness down to the submicron range are to be achieved in a very short time. In addition to dry and wet grinding, they are also suitable for colloidal grinding and mechanical alloying. Extremely high fineness down to submicron range. 1 grinding stations. Grinding jar volume 12 to 500 ml.